BUENOS AIRES, (Reuters) – Argentine lawmakers have proposed legislation to boost oversight of a Chinese space tracking station that has stirred unease among local residents, fuelled conspiracy theories and sparked concerns amongst critics about its true intent. OTTAWA, (Reuters) – A former cabinet member at the heart of a crisis that could cost Canadian Prime Minister Justin Trudeau his job yesterday released documents to back up her case that she had been pressured to help a large corporation avoid a corruption trial. 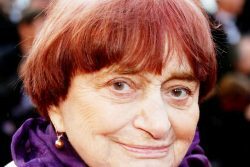 PARIS (Reuters) – Agnes Varda, the Belgian-born grande dame of French cinema and an influential force behind the New Wave movement, died at her home in Paris on Friday. UNITED NATIONS, (Reuters) – The United Nations estimates that about a quarter of Venezuelans are in need of humanitarian assistance, according to an internal U.N.
BUENOS AIRES, (Reuters) – Argentina’s poverty rate rose to just under a third in the second half of 2018 as the country was battered by an economic recession, a tumbling peso and soaring inflation that has outstripped wages. LIMA, (Reuters) – A government negotiating team sent to Peru’s southern copper belt to calm rising tensions at a Chinese-owned mine was repelled by indigenous protesters who hurled rocks at its helicopter on Wednesday, a government official said. 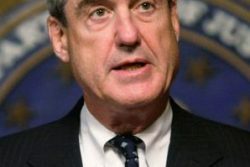 BRASILIA, (Reuters) – The Russian troops sent to Venezuela should leave if their purpose is to maintain the country’s leftist government in power, Brazilian Foreign Minister Ernesto Araujo said yesterday. OTTAWA, (Reuters) – Canada yesterday took a notably tougher line with China over its ban on Canadian imports of canola seed, saying Beijing had provided no scientific evidence to justify the move and was hurting its own reputation. LONDON, (Reuters) – The United States has instructed oil trading houses and refiners around the world to further cut dealings with Venezuela or face sanctions themselves, even if the trades are not prohibited by published U.S.
(Trinidad Guardian) Homicide investigators are hoping that Shervon Narad Mohammed survives the life-threatening wounds he suffered on Tuesday night so he can help piece together his shooting and the tragic murder of his friend Joseph Narine. 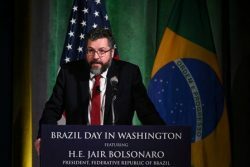 BRASILIA, (Reuters) – The Russian troops sent to Venezuela should leave if their purpose is to maintain the country’s leftist government in power, Brazilian Foreign Minister Ernesto Araujo said today. MOSCOW, (Reuters) – Members of the Russian military have arrived in Venezuela but will not take part in military operations, Venezuela’s military attache in Moscow was cited as saying by Interfax news agency on Thursday. 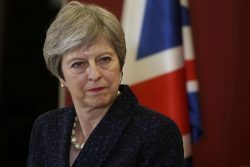 LONDON, (Reuters) – British Prime Minister Theresa May failed to sway hardline opponents of her European Union divorce deal yesterday with an offer to quit, but parliament’s bid to agree an alternative fell short, leaving the Brexit process as deadlocked as ever. 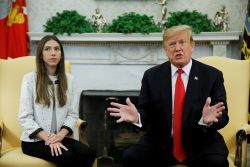 WASHINGTON, (Reuters) – U.S. President Donald Trump yesterday called on Russia to pull its troops from Venezuela and said that “all options” were open to make that happen. NEW DELHI, (Reuters) – India shot down one of its own satellites in low-Earth orbit with a ground-to-space missile yesterday, Prime Minister Narendra Modi said, hailing his country’s first test of such weaponry as a breakthrough establishing it as a military space power. 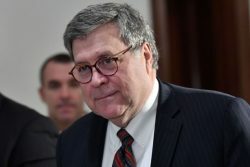 TEGUCIGALPA, (Reuters) – The United States said yesterday it had reached an agreement with three Central American countries to carry out joint police operations in the region, as the Trump administration seeks to stem the flow of migrants across its southern border. 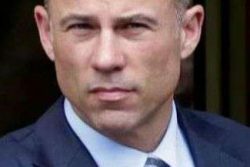 (Reuters) – Chicago Mayor Rahm Emanuel said yesterday he wanted to “find out what happened” to cause prosecutors to abruptly drop charges against “Empire” actor Jussie Smollett, who was accused of staging a hoax hate crime to boost his career. 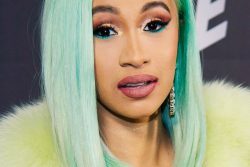 LOS ANGELES, (Reuters) – Rapper Cardi B has admitted to drugging and robbing men while working as a stripper, but defended her past actions saying she had limited options at the time, and vowed to “be a better me” in the future. (Reuters) – Facebook Inc yesterday banned praise, support and representation of white nationalism and white separatism on its social media platforms, a shift in policy after criticism by civil rights groups that it was failing to confront extremism. 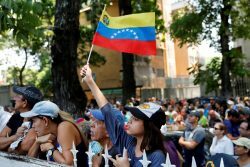 CARACAS/VALENCIA, Venezuela, (Reuters) – Venezuelan opposition leader Juan Guaido yesterday called on supporters to take to the streets this weekend in protest of a major nationwide blackout that has left millions without power for three straight days. 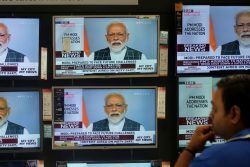 NEW DELHI, (Reuters) – India shot down one of its satellites in space with an anti-satellite missile today, Prime Minister Narendra Modi said, hailing the country’s first test of such technology as a major breakthrough that establishes it as a space power. SAO PAULO, (Reuters) – Brazil’s government has resumed studies to build a large hydroelectric power plant in the northern border state Roraima, which currently relies on the shaky Venezuelan grid, officials at state energy planning agency EPE told Reuters. 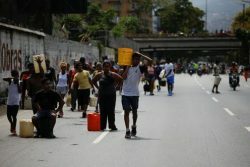 CARACAS, (Reuters) – Venezuela’s government told workers and school children to stay home yesterday as the second major blackout this month left the streets of Caracas mostly empty and residents wondering how long power would be out amid a deepening economic crisis. LONDON, (Reuters) – A rare original charter from the reign of King John, complete with its royal seal, has been discovered by chance in County Durham northern England. WASHINGTON/SEATTLE, (Reuters) – The U.S. aviation regulator will significantly change its oversight approach to air safety by July following two fatal Boeing Co MAX 737 passenger plane crashes, according to written congressional testimony seen by Reuters. 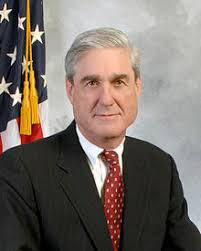 WASHINGTON, (Reuters) – A Russian military contingent that arrived in Venezuela over the weekend, drawing U.S.
WASHINGTON, (Reuters) – The U.S. Supreme Court yesterday appeared divided along ideological lines again on whether the contentious practice of manipulating electoral district boundaries to entrench one party in power may violate the constitutional rights of voters, with Justice Brett Kavanaugh emerging as the potential deciding vote. 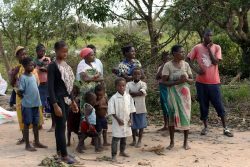 BEIRA, Mozambique, (Reuters) – About 1.85 million people have now been affected by Cyclone Idai and its aftermath in Mozambique alone, U.N.
WASHINGTON, (Reuters) – A fight brewed between Democrats and Republicans over the public release of Special Counsel Robert Mueller’s report on Russian meddling in the 2016 U.S.
NEW YORK, (Reuters) – Attorney Michael Avenatti, who represented adult film star Stormy Daniels in her legal battles with U.S.
LONDON, (Reuters) – British lawmakers wrested control of the parliamentary agenda from the government for a day in a highly unusual bid to find a way through the Brexit impasse after Prime Minister Theresa May’s EU divorce deal was rejected again. (Reuters) – Apple Inc’s Apple News+ service will offer content from 300 popular magazines and newspapers for just $10 a month. WASHINGTON, (Reuters) – U.S. President Donald Trump yesterday recognized Israel’s 1981 annexation of the Golan Heights in an election boost for visiting Israeli Prime Minister Benjamin Netanyahu, prompting a sharp response from Syria, which once held the strategic land. CARACAS, (Reuters) – Venezuela blamed an “attack” on its electric system for a blackout yesterday, the second to hit the OPEC nation this month, that shuttered businesses, plunged the main airport into darkness and left commuters stranded in the capital. WASHINGTON/CARACAS, (Reuters) – The United States yesterday accused Russia of “reckless escalation” of the situation in Venezuela by deploying military planes and personnel to the crisis-stricken South American nation that Washington has hit with crippling sanctions. LONDON, (Reuters) – British Airways has been forced to apologise after a flight from London to Dusseldorf landed more than 600 miles (965 km) away in Edinburgh by mistake. 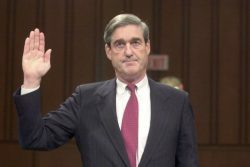 WASHINGTON, (Reuters) – Special Counsel Robert Mueller has concluded that nobody associated with President Donald Trump’s campaign “conspired or knowingly coordinated” with Russia during the 2016 presidential election, and U.S.
WASHINGTON, (Reuters) – U.S. Special Counsel Robert Mueller found no evidence of collusion between President Donald Trump’s election team and Russia in the 2016 election but left unresolved the question of whether Trump had tried to obstruct justice by undermining investigations that have dogged his presidency. CARACAS, (Reuters) – Two Russian air force planes landed at Venezuela’s main airport on Saturday carrying a Russian defense official and nearly 100 troops, according to media reports, amid strengthening ties between Caracas and Moscow. BAMAKO, (Reuters) – Mali’s President Ibrahim Boubacar Keita sacked and replaced two generals and disbanded an anti-jihadi vigilante group yesterday, a day after gunmen massacred 134 Fulani herders in the country’s troubled central region. 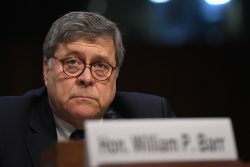 WASHINGTON, (Reuters) – The following is the text of the letter United States Attorney General William Barr sent to Congress on Sunday summarizing a report by Special Counsel Robert Mueller on his investigation into Russia’s role in the 2016 presidential election: Dear Chairman Graham, Chairman Nadler, Ranking Member Feinstein, and Ranking Member Collins: As a supplement to the notification provided on Friday, march 22, 2019, I am writing today to advise you of the principal conclusions reached by Special Counsel Robert Mueller III and to inform you about the status of my initial review of the report he has prepared. 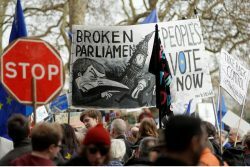 LONDON, (Reuters) – The United Kingdom’s exit from the European Union was in disarray today as Prime Minister Theresa May faced a possible plot by ministers to topple her and parliament prepared to grab control of Brexit from the government. 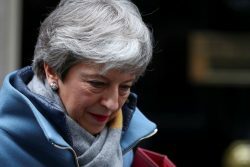 LONDON, (Reuters) – British Prime Minister Theresa May’s top ministers are moving to oust her within days, The Sunday Times reported, as her Brexit strategy lay in tatters just weeks before the United Kingdom was due to leave the European Union. 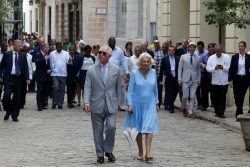 LECHERIA, Venezuela, (Reuters) – Venezuelan President Nicolas Maduro’s administration has reached its final stage and there will soon be a change in government, opposition leader Juan Guaido said, adding that his allies have spoken with high-ranking military members about changing sides.